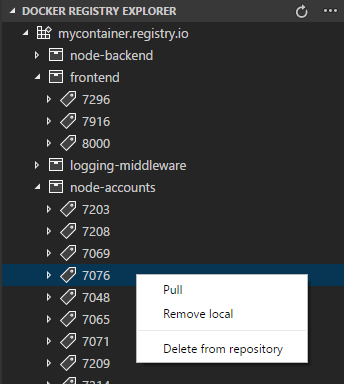 Visual Studio Code>Other>Docker Registry ExplorerNew to Visual Studio Code? Get it now. 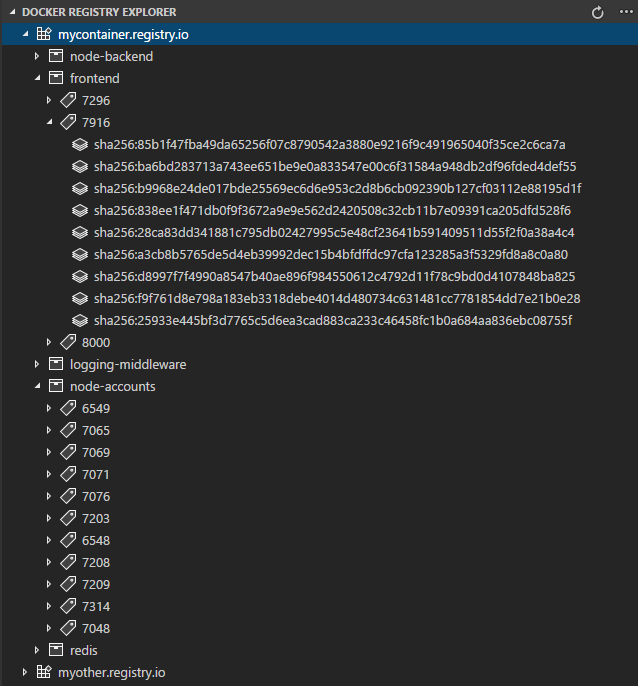 Explore and manage Docker Images, for private Docker Registries. Refresh registry node to load changes. 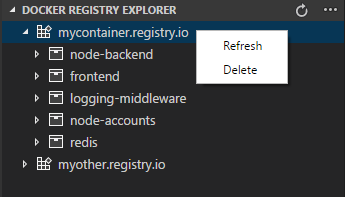 Delete a registry entry from the explorer. Docker API V2 based registries are supported only. For now only Basic Authentication is supported.